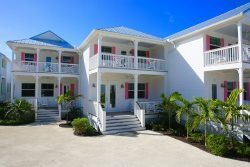 Your villa rental includes a shared swimming pool, bayside boat dock and proximity to marinas and fantastic restaurants. From the vantage of this beautiful brand new 3 bedroom Islamorada vacation villa in the Art District, you'll enjoy the marinas, fine dining and entertainment while enjoying breathtaking sunset views. 3 bedrooms, 3.5 baths, a gourmet kitchen and world class amenities including, Free Wi-Fi, Community Swimming Pool, Tiki Hut w/ BBQ, HD Flat-Screen Smart TV`s in Living Room and in all Bedrooms, Washer and Dryer, Dishwasher, Playground, Beach, Dock, Floating dock for launching kayaks & paddleboards, Personal Audio Sound System, State of the Art Technology, Gourmet Kitchen and Keyless Entry and Exit.